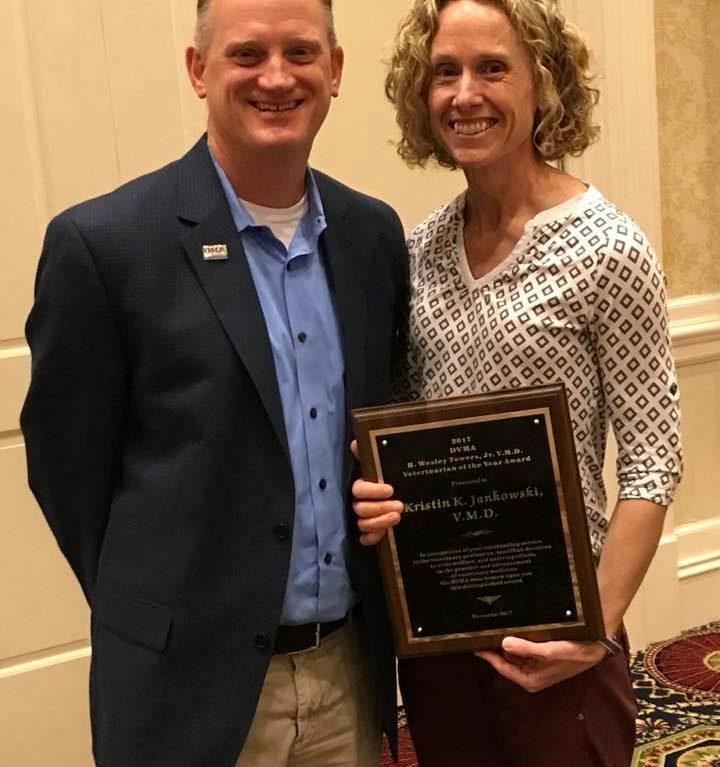 Our DHA Board Member, Dr. Kristin Jankowski, was honored with the Veterinarian of the Year Award by the Delaware Veterinary Medicine Association (DVMA)! Dr. Jankowski was recognized for her good work Wilmington Animal Hospital and Veterinary Specialty Center of Delaware, as well as for the amazing work she has done to implement our new One Health program at DHA. Congratulations Dr. Jankowski!